The Berkshire Botanical Garden will present guest lecturer Louis Benech for their 2014 Winter Lecture, “Freedom And Responsibility In My Approach To Garden Design,” taking place on February 8th at Monument Mountain High School in Great Barrington, MA. Louis Benech came to gardening through his love of plants. In 1985, he began his career as a garden designer and landscape architect. Since then, he has designed and carried out some 300 projects, from Korea to Panama, from New Zealand to the United States. While most of his work has been for private individuals, he has also received commissions from large multinational companies such as Hermès, Axa and Novartis. 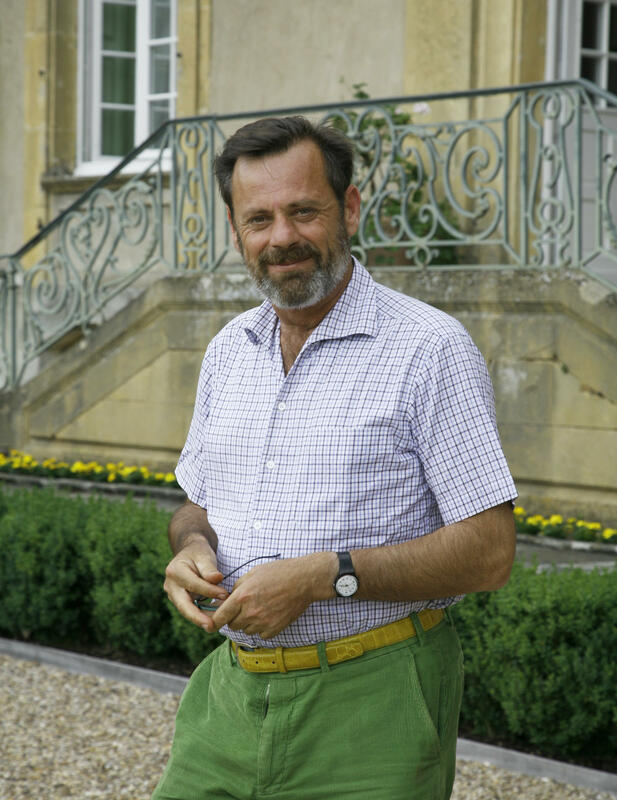 He has also worked on many established historic gardens, such as those at the Elysée Palace, the Château de Chaumont-sur-Loire, the gardens of the Archives Nationales in Paris, and the Achilleion in Corfu. He is currently working on the creation of a new garden in the Water Theatre Grove of the Palace of Versailles. The 78th Annual Berkshire Harvest Festival --one of the largest and longest running events of its kind in the country-- takes place at the Berkshire Botanical Garden in Stockbridge, MA on October 6th and 7th from 10:00am to 5:00pm. The Berkshire Harvest Festival features crafts, food, live music, a silent auction, kids’ activities – and more! We are joined by Executive Director of the Berkshire Botanical Garden, Molly Boxer and Chairman of their Trustees, Matt Larkin. Spring has sprung, and it’s time once again to get on our knees and discover the bounty of flora we can cultivate in our own backyards. Joining is today is arborist Fred Breglia of the Landis Arboretum, gardener Greg Ward of Ward’s Nursery, and horticulturist Dorthe Hviid of Berkshire Botanical Garden for this first edition of WAMC’s gardening program for 2012. Former Editorial Director of Martha Stewart, Margaret Roach, has been harvesting thirty years of backyard parables - deceptively simple, instructive stories from a life spent digging ever deeper-and has distilled them in this memoir along with her best tips for garden making, discouraging all manner of animal and insect opponents, at-home pickling, and more. Elisa Meredith is a counselor and writer. She can be found with pen and notebook in various independent coffeehouses throughout the Capital Region. Music - The Beach Boys - "Vegetables"
The Agricultural Stewardship Association (ASA) is a community-supported land trust dedicated to protecting our local farmland from encroaching development, working together with interested landowners and active supporters. They will be holding their 12th Annual Art Exhibition to benefit farmland conservation this weekend at Maple Ridge in Cambridge. ASA Executive Director Teri Ptacek joins us to tell us more.